If you remember a couple of years back, a highly ambitious fan project aiming to re-create the classic Sonic the Hedgehog 2 with high definition visuals released its first ever alpha to the public. It was certainly stunning – however, issues behind the scenes involving the programming and engine arose shortly thereafter, which sadly brought a swift end to the future of Sonic 2 HD. The only thing more surprising than seeing an official post from us here is our announcing that S2HD is no longer dead. 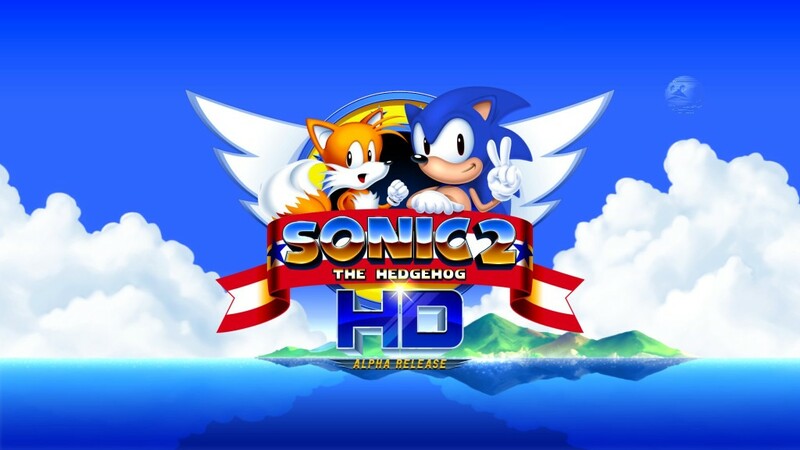 You read that correctly: work has once again begun on Sonic 2 HD! That said, we’d like to give you all a brief tie-in for recent events leading to the project’s reboot. In response to some of the questions we have seen, the Alpha Release build is officially discontinued and will not get any form of support as we do not have the source code. The next release will be entirely new programming from the ground up. We’ll provide more details in how you can help us out in the next few days. It’s good to be back! From that final note, you can see the team might be reaching out for some help from the community soon. Make sure you keep up to date with their Facebook if you feel you can contribute. I personally wish them all the luck in the world that they’ll succeed – Sonic 2 HD is a huge undertaking but it would be a dream to see it become reality! Got any fond memories of Sonic 2 you wanna share with us? Be sure to head over to Twitter and get involved in the week long celebration for Sonic’s birthday which we’re collaborating with SEGAbits and Sonic Retro. Use the hashtag #Sonic23on23 to get in on the conversation, and we’ll be looking out for some of the best to re-tweet and favourite! lOst CONFIRMED FOR JOKE CHARACTER ON SMASH 4! REGGIE CONFIRMED FOR SMASH 4! JONTRON CONFIRMED FOR GUEST GRUMPS! Sonic 2 was the very first Sonic game I ever played! It was at my mum’s friend’s house, and even though I was on the SNES side of the console war, I couldn’t help but enjoy it. Ever since then, I had a passing interest in the series, and when the Adventure games were brought to Gamecube, I became a Sonic fan fulltime! Thank you, Sonic 2! I owe being here to you! What if it is a Facepalm scam? What a way to celebrate Sonic’s (Slightly belated) Golden Birthday! Neat. This is awesome news. I’d still prefer a S3&K HD remake sometime down the road after this, though. Now THIS is some good Sonic Related news. Is the keystroke logger still included? Nope. The programmer that caused the keystroke logger, along with basically killing (or now I guess almost killing) the project, is nowhere near this project. The new game engine is completely new. I doubt it, it got cut from Sonic Gems Collection and has had not even a mention of being possibly re released. I’d love for Knuckles Chaotix to return with Knuckles as the marquee character again. I’ll believe it, when they actually release something playable.